All of the teachers at West Side Music Together are passionate about music - and more importantly about supporting your child's musical journey. During their classes, they help create a fun, informal, musically rich community that supports the varied learning styles of both children and adults. All of our teachers have successfully completed Music Together® teacher training workshop developed by the Center for Music and Young Children , Princeton, New Jersery, and many have participated in Music Together's Advanced Certification Program from Princeton's Music Together Center For Music and Young Children for outstanding achievement in teaching and articulating the program. Teachers receive ongoing support and development through yearly songs workshops, skills workshops, certification training, teachers' newsletters, and an international exchange of ideas through the Music Together Forum. Katherine Deane has been a teacher of drama, music, and dance and a favorite nanny to children of all ages throughout her life. She began her career in the performing arts in 1988 as a dancer with the Alberta Ballet and went on to pursue her love of dancing, singing, and acting in both the Toronto and International Touring productions of "The Phantom of the Opera". She has also performed in various other musicals across Canada, including "Fiddler on the Roof", "My Fair Lady", "The Secret Garden" and "A Christmas Carol-The Musical". Katherine’s formal music education includes classical studies in piano, voice, and music theory as well as having completed her Bachelor of Music Therapy. She has a private Music Therapy practice specializing in work with children newborn through adolescence. In 2009, she was awarded the Certification Level 1 qualification from Princeton's Music Together Center For Music and Young Children for outstanding achievement in teaching and articulating of the program. Katie Brock has been teaching since the fall of 2006 and has attended Music Together® classes with her son Sam and daughter Isobel since the summer of 2005. It is her passion for this program and the joy she feels at every class that drew her to teaching Music Together. Born and raised in West Vancouver, Katie is thrilled to be teaching at the Gleneagles Community Centre as it is around the corner from her house!! Katie’s love of music began as a young child with classical piano lessons from her grandmother. Growing up she also played the violin, the trombone, sang in choirs, danced and acted in musical theatre productions. As an adult, Katie has continued to sing choral music and has tried her hand at community musical theatre. She has also spent some time in Toronto pursuing her love of music and theatre. While there, she completed an intensive acting program at The Player’s Academy and studied voice with Diane Lewarne. Katie currently sings with the female vocal ensemble "reVive" which is led by Peter Vanderhorst. She is also working very hard practicing the guitar and looks forward to playing for you in class! Katie has successfully completed the Music Together Teaching Workshop developed by the Center for Music and Young Children, Princeton, New Jersey. Donalyn started taking her daughter, Charlotte, to Music Together® classes in the summer of 2006 and she loved it so much – the diverse music, the warm community of families, the exercise (! ), the fun – that she decided to become a Music Together teacher. There was always singing in Donalyn’s home growing up. Her mother sang in the church choir and Donalyn loved to sing along, picking up the harmonies. Christmas caroling is a favourite tradition in her home. A native Vancouverite, Donalyn has a long history of singing in choirs, both through her school years where she studied under John Trepp at Magee High School and as an adult in community choirs. She finds great joy participating in a community of singing voices. 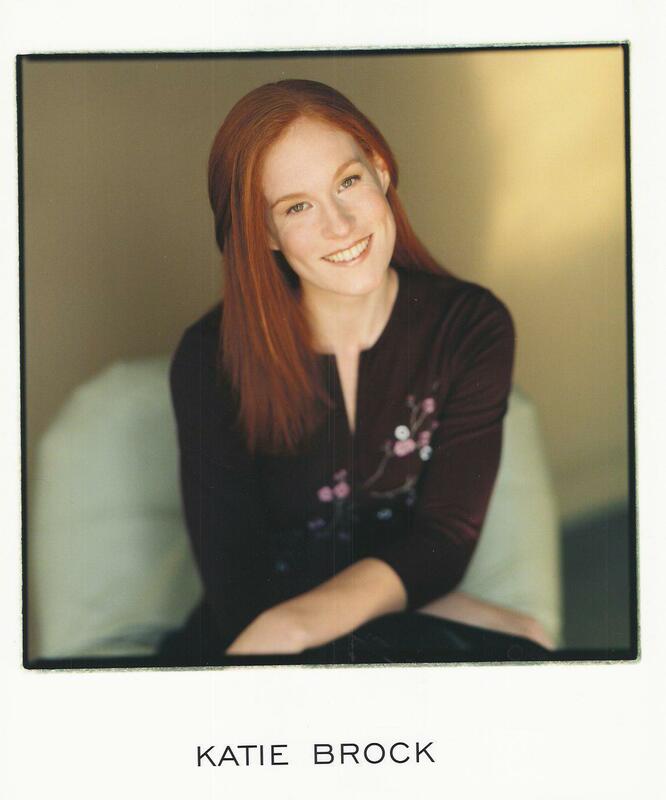 Growing up, Donalyn also studied recorder and clarinet and pursued classes in musical theatre. She loves to dance too and, though it’s been many years since her last dance recital, she still remembers some of the tap dancing moves! Today, Donalyn devotes herself to bringing joy and discovery to her daughter through play and, of course, music. “We’re always singing at home!” She looks forward to sharing her enthusiasm with you. In 2010, she was awarded the Certification Level 1 qualification from Princeton's Music Together Center For Music and Young Children for outstanding achievement in teaching and articulating of the program. Joan started exploring her musical nature later in life. After singing in a community choir for three years and dabbling in African dance and hand-drumming, she began learning to play Zimbabwean-style marimba. In 2002 she joined the band Kwayedza Marimba, and played with them for almost 8 years. One of her favourite aspects of performing this joyful and energetic music was seeing the fascination that small children have with the music and instruments. When she heard about the Music Together® teacher training program, she was thrilled about the opportunity to share her love of music even more directly with children. 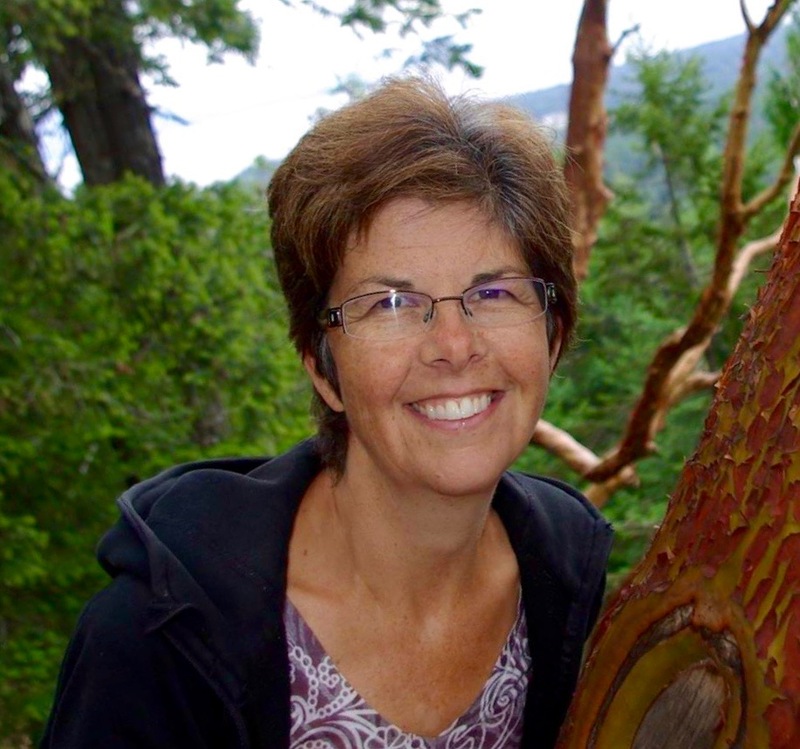 Joan enjoys the delightful chaos of large groups of children – she has five nephews and three nieces, and has volunteered at the Vancouver International Children's Festival and at the Cloud Forest School (a K-11 school in Costa Rica). For two years she sang and played harmonium in the kirtan group Chanting and Chocolate. These days, Joan is proud to be an alto and a section leader in the 100-voice soul and gospel choir City Soul Choir. She is also a Yoga Alliance certified yoga instructor, and feels that teaching Music Together to children and teaching yoga to adults complement each other perfectly. In 2014, Joan was awarded the Certification Level 1 qualification from Princeton's Music Together Center For Music and Young Children for outstanding achievement in teaching and articulating of the program. Heidi grew up in a musical family. Her father is the Squire of the Vancouver Morris Men, with whom he dances and for whom he plays many instruments. Her mother has a lovely voice and learned her joy of singing from Heidi's grandfather who sang at venues all over England and was even invited to sing for the BBC. Heidi's sister, Tiffany, sings with the popular Broadway Chorus. Some of Heidi's favorite childhood memories include putting on shows with her sisters in the living room for their grandparents, tagging along to music-making retreats and folk festivals and watching her parents recording music together. Nearly all of her family get-togethers are occasions for singing and dancing. Heidi was a member of her elementary and secondary school choirs, has dance training in ballet, jazz and hip-hop and has "dabbled" in acting on and off throughout her life. She has a degree in Theater as well as English and was the President of U.B.C's Dance Horizons. She's reently started playing the fiddle and is having loads of fun with it. She also hopes to one day learn how to play the bongo drum she lugged around the world and home from Cairo! Heidi was thrilled to discover Music Together® in the fall of 2007 – a place where she, her son, Caeden, and daughter, Ainsley, could learn about and enjoy music by participating in it and creating it with other young families. The idea of teaching such a class has made her feel very excited; she had often considered teaching children as a career and Music Together seemed to combine perfectly her love of music and movement and her enthusiasm for teaching and nurturing children. She has successfully completed the Music Together Teaching Workshop developed by the Center for Music and Young Children, Princeton, New Jersey. Heidi looks forward to making musical memories with you! Laura has an extensive background in the Performing Arts. Growing up she studied private voice instruction and trained at various musical theatre programs and dance schools. 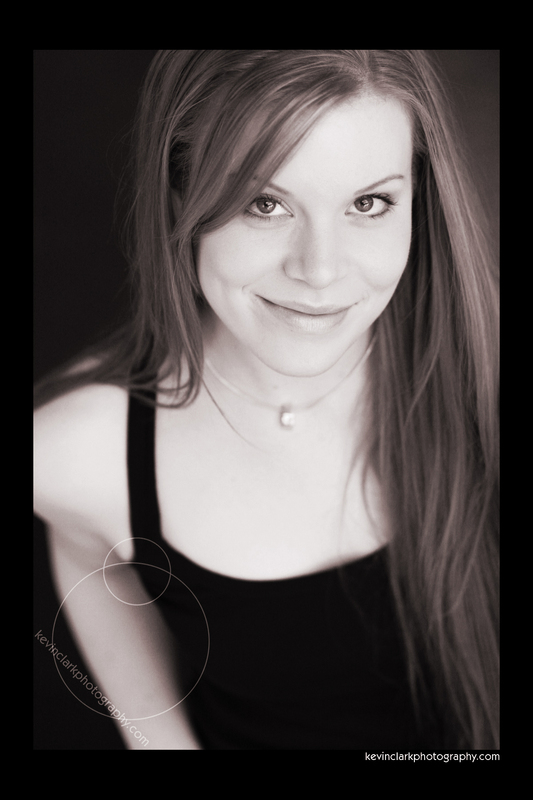 Laura is actively involved in the Greater Vancouver musical theatre scene and has been performing throughout the Lower Mainland for over twenty years. Off stage, Laura discovered a newfound delight in guiding families through music and movement at West Side Music Together. She truly found a program that brought meaning to the word community! In addition to community music making, Laura has the pleasure of teaching three and four year olds at Little People's Preschool in Kerrisdale. 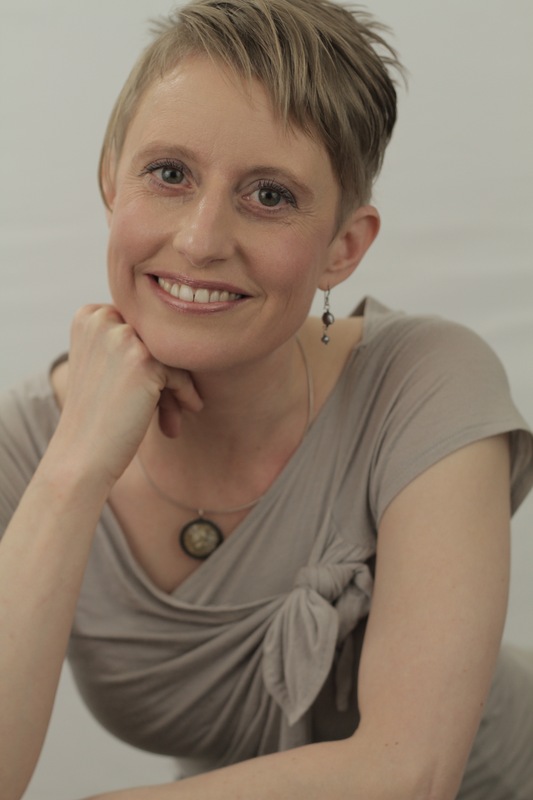 She is a licensed Early Childhood Educator and a 500hr registered Yoga Teacher (RYT). Whether she’s encouraging a child’s imagination, performing on stage or practicing in a peaceful yoga flow, Laura feels most passionate about supporting others! Laura has successfully completed the Music Together Teaching Workshop developed by the Centre for Music and Young Children, Princeton, New Jersey. In 2011, she was awarded the Certification Level 1 qualification from Princeton's Music Together Centre For Music and Young Children for outstanding achievement in teaching and articulating of the program. Noa's life long engagement with the arts is her main driving force and passion. She started studying classical piano as a child and then moved to classical ballet and modern dance through till high school. From there, she made her move to acting and singing as she performed on stage and on screen as a professional actor, singer and dancer and she never stopped singing even while completing her fine arts and graphic design diploma. After arriving to Vancouver from Israel in 2000, Noa continued with acting and voice training at 'Lyric' and most recently with vocal coach Jennifer Scott. Noa holds a fine arts teacher certificate and she has facilitated workshops in art and drama with children of all different ages. She currently sings with Brian Tate's 'City Soul Choir' and is also an enthusiastic photographer. Noa's work has been published and presented at group exhibition. 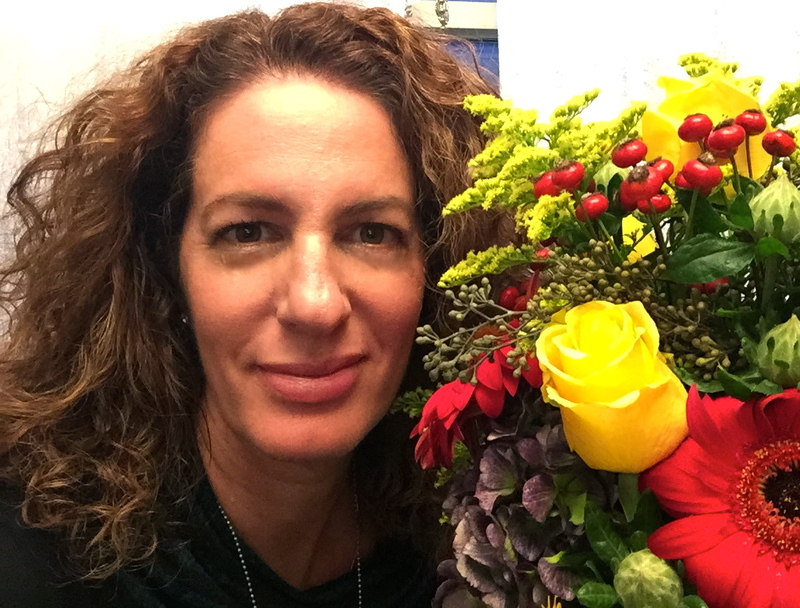 Noa's enthusiasm for Music Together® began when she and her son Lior were taking classes. It is the joy of singing and the love of community music making that lifts her soul and opens her heart. She is thrilled to combine her passion for music with empowering parents and nurturing children's natural curiosity. 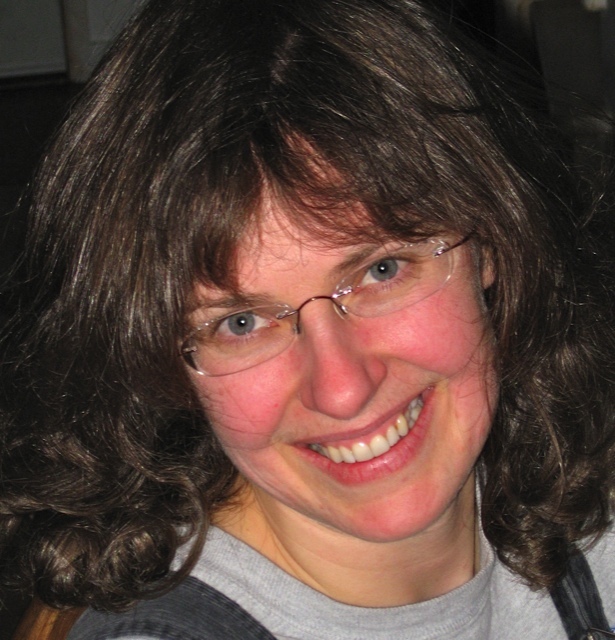 Noa has completed her Music Together training and is a registered Music Together teacher. Tanya had two main loves in life growing up, one was sport and the other was music. With her young ear pressed against a speaker, she listened to her parents vinyl records, like Patsy Cline and Johnny cash, and a passion was born. However, it wasn't until her high school music theatre teacher, Mr. Peter Vanderhorst encouraged her to follow her musical pursuits, that she seriously considered a career in music. From there she studied voice with Nancy Davis and performed in her high-school musicals and choir. In 1995 she was chosen as the "Peoples Choice" award winner at the British Columbia Country Music Association vocalist of the year completion, held at the Boone County Cabaret. In her youth, she also taught skiing, attended Capilano University for Business Administration and played for the Cap Blues volleyball team. In 1996, she started TAG Sale Inc., a growing and successful sportswear sales and distribution company that she still runs today. TAG Sales Inc now owns and operates two Golf stores in the Vancouver area under the name of Peak Golf. When her children were born, her desire to rekindle her musical passion was re-ignited. She was determined to create for her children a love and a comfort around music that would stay with them for a lifetime. After attending a Music Together® class with both her children, she was hooked. Her goal with Music Together is to help parents and caregivers successfully bring music into their homes as a form of everyday communication. She hopes to develop musically competent children, who can embrace music without fear. Tanya feels music is an all-too-often forgotten gift, which we all possess. She successfully completed her Music Together Teachers training, developed by The Center for Music and Young Children in Princeton, New Jersey. Katy is a life-long music student, and a parent of two preschoolers. Her most recent musical endeavors include formal training in piano and discovering her voice in a local community choir, The Acapellaboratory, where she sings soprano. Prior to that, she played both the trumpet and clarinet in school and studied conducting and music composition. She is also enjoying learning to play the guitar and ukulele. Through the choir, Katy has discovered the ecstatic joy of group singing and music making and wants to share that experience with everyone! With Music Together®, she has found a way to share that passion with other families. Upon becoming a parent, Katy’s rekindled passion for music became so entirely distracting that she felt compelled to make it a part of her professional life. She maintains organizational, business and other creative skills from her degree and career in fashion design, but much prefers the art and joy of music making to haute couture - now music is a stronger part of her family and working life! Katy’s warm, friendly and energetic disposition make her well suited for Music Together. 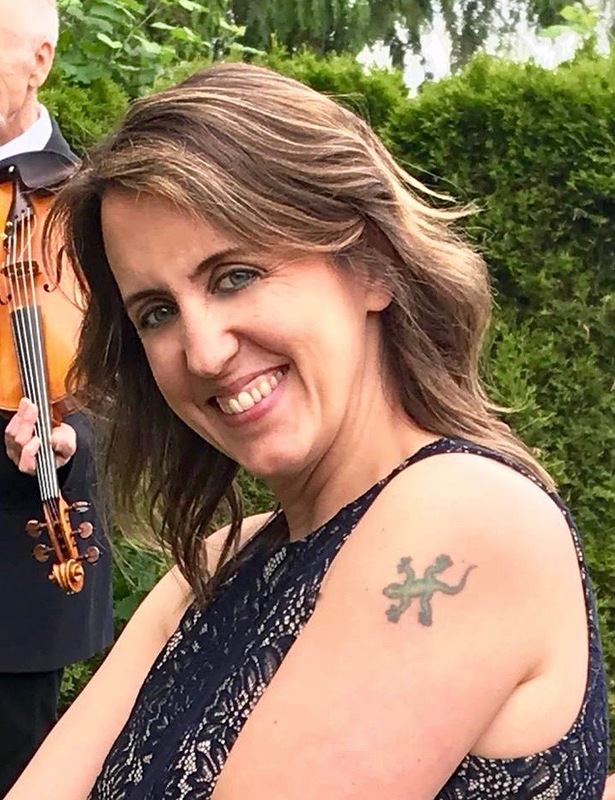 She is excited to foster music competency in young children through dance, singing and working with rhythmic and tonal patterns - and is a convert from her experience seeing how her own children loved and grew musically with the Music Together program. Katy has successfully completed the Music Together Teaching Workshop developed by the Center for Music and Young Children, Princeton, New Jersey. Shellana has a passion for music and dance and has been singing, writing, and performing songs on her own and with others for as long as she can remember. She studied ballet during her childhood years and as a teenager she enjoyed songwriting, playwriting and acting and was a member of Theatre Peace, which toured performances around the Kootenays and at EXPO 86 in Vancouver. She also played flute in her high school band, and has performed with many choirs including the Woodward's Community Singers here in Vancouver. Shellana also likes experimenting on the guitar, penny whistle and drum in her free time and she has always enjoyed working with babies and children. She has worked at Children's Orchard, a Waldorf inspired daycare in Nelson B.C. as well as running daycare facilities in tree planting camps and out of her own home for many years. She has also worked as an assistant kindergarten teacher and substitute teacher at The Nelson Waldorf School. From 1999 to the present she has also been volunteering to organize Children's Programs for Sahaj Marg meditation workshops and retreat gatherings. Shellana enrolled her son in Music Together® classes when he was 3 years old and they both fell in love with the program. This joy spilled over into family time with friends and Shellana became reawakened to the importance and value of music making in everyday life for people of all ages. "Music is such a natural medium for communication that enhances and enlivens our individual lives and our communities as a whole." She wishes that all of us could grow up having an ease and comfort with musical expression and she is so excited to be helping to create community with caregivers and children through music, movement, and dance. Shellana has successfully completed the Music Together Teaching Workshop developed by the Center for Music and Young Children, Princeton, New Jersey. 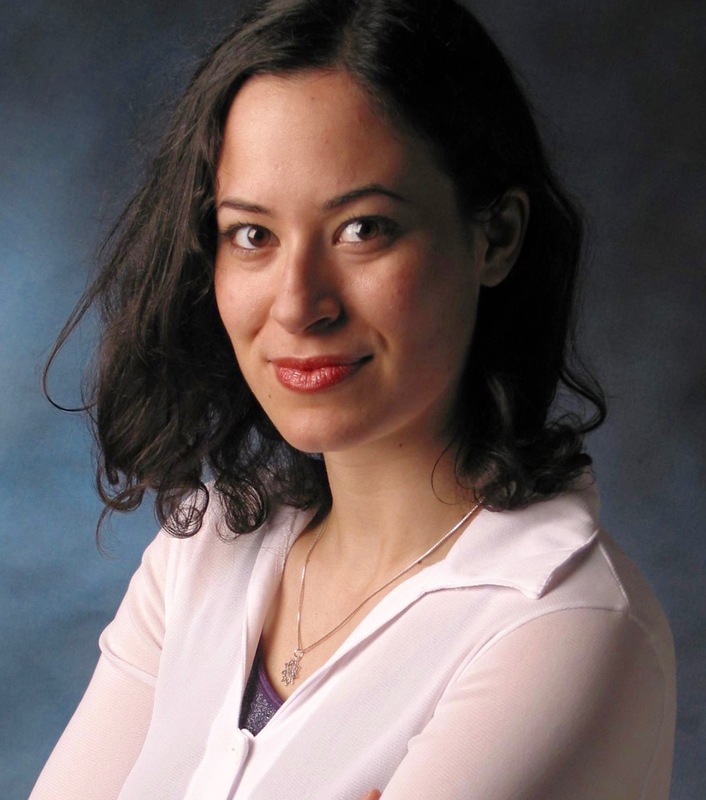 Roya is a pianist, choral director, singer/songwriter, and ESL/English teacher. She discovered Music Together® through friends with children, and also attended a few classes with her niece! Truly impressed by the program, Roya enrolled in the Music Together® teacher training. Roya's musical adventure started at age 8 with piano lessons and living-room musicals with her best friend. Her parents' encouragement, their enjoyment of all the arts, and frequent family viewings of "Fiddler on the Roof" helped! As a youth, she completed grade 10 piano with the Royal Conservatory of Music as well as playing clarinet in the Killarney High School band, with some dance and theatre experiences along the way too. She taught piano to friends and children while studying at UBC and later, songwriting and composing blossomed while volunteering in Thailand (during long, quiet evenings in a house with a piano). This developed into two recording projects with a vocal trio, Devotee, and a pop/gospel band, Water after Winter. Her love of choir and singing lead to a side career in choral directing and accompaniment. A highlight was working with children at a summer arts camp in 2004, where she directed the junior youth choir and was blown away by their soulful energy. Next, she followed her heart and completed a diploma of music at Vancouver Community College in voice and composition. 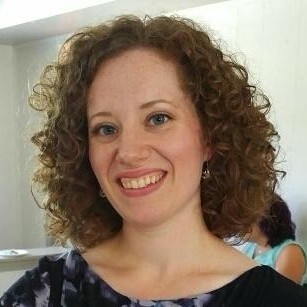 She worked as the Music Animator at St.Stephen's United Church for over five years and also completed the BCCF Choral Directorship certificate in 2008. Roya is currently working with the One Voice Choir in Burnaby. You can often find Roya involved in Baha'i or Inter-Faith choral project and her favourite musical activity is creating vocal harmonies from the piano, and helping others to do the same. Music Together has recently brought a new way to teach, and a new kind of excitement and meaning, to her musical life. Roya has successfully completed the Music Together Teaching Workshop developed by the Center for Music and Young Children, Princeton, New Jersey. The great joy Patrice and his daughter Mahalia (who is now 6) shared going to several seasons of Music Together and the friends he met in choir who also taught Music Together got him thinking...maybe I could do this too? Now he is! Born and raised on Montreal, Patrice sang in choir in elementary school and loved the sense of community and joy of gathering and singing out wholeheartedly. A poster advertising an adult choir 20 years later reminded him how much he had enjoyed being in one and he has been passionately pursuing music since then. 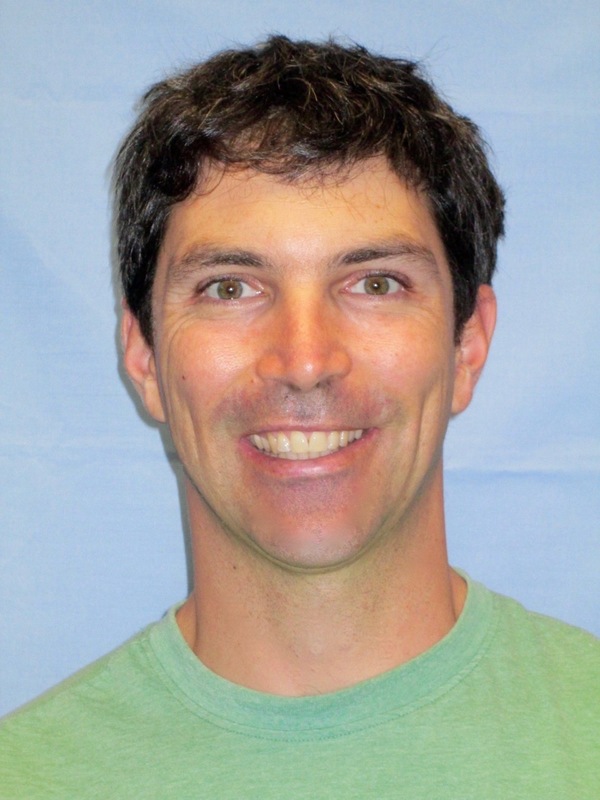 He has been performing in local choirs Simple Gifts and City Soul Choir (where he is currently a member of the baritone section of the choir) since 2008 and playing guitar and singing in the acoustic string music group Uncle Joe for nearly the same amount of time. 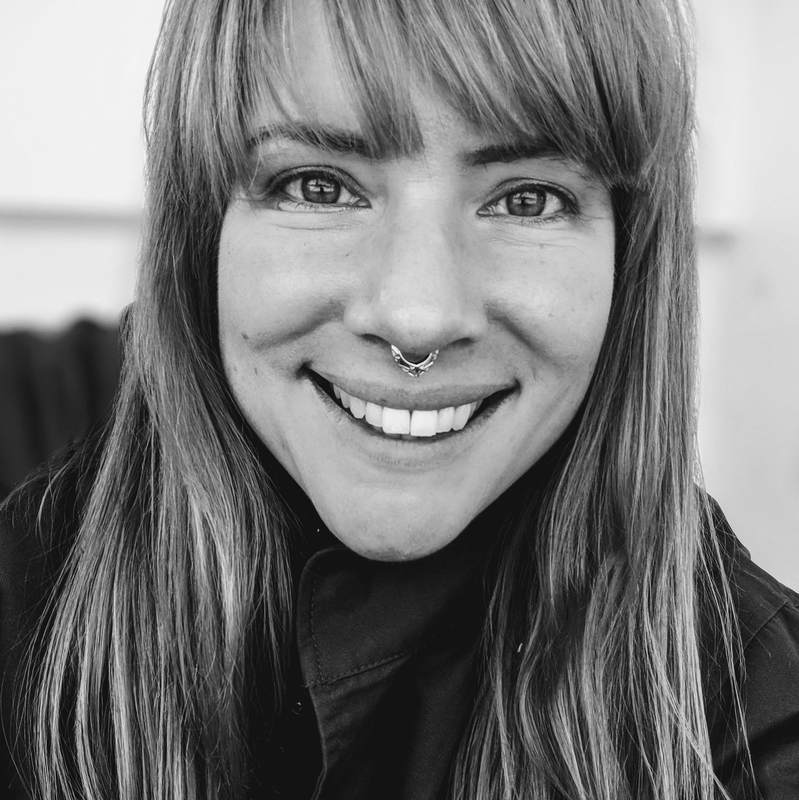 Patrice currently teaches yoga at Open Door Yoga and has been a kids yoga teacher for nearly ten years. Through his yoga practice, he has learned the value and benefit of deep breathing through the practice of pranayama and mindful breath and through choirs has discovered that singing is one of the most natural and effective ways of doing that...not to mention that it's a whole lot of fun too! Patrice loves singing, making music and dancing as a way to connect with people of all ages and cultures. In 2016, he successfully completed the Music Together Teaching Workshop developed by the Center for Music and Young Children, Princeton, New Jersey. Monica’s life is like one big musical! She has been singing throughout her life whether it’s on stage in opera chorus’and bands or just inspired, impromptu solos at restaurants in Italy. Her childhood was filled with music-making and she happily remembers singing and playing instruments with her mom, dad and siblings. To this day, Monica plays guitar, piano, ukulele and sings with her family whenever they visit. Monica first joined the choral world in elementary school and then continued as a choral singer throughout highschool and post-secondary education. She caught the performing bug during highschool when she toured with the ‘Spirit Alive’ Concert and Chamber choirs to Banff, Alberta and then New York, Chicago, and San Francisco to compete in the choral competition ‘Festival of Gold’. After that she started to to train with a vocal coach and attended an opera camp held in Vernon, BC. 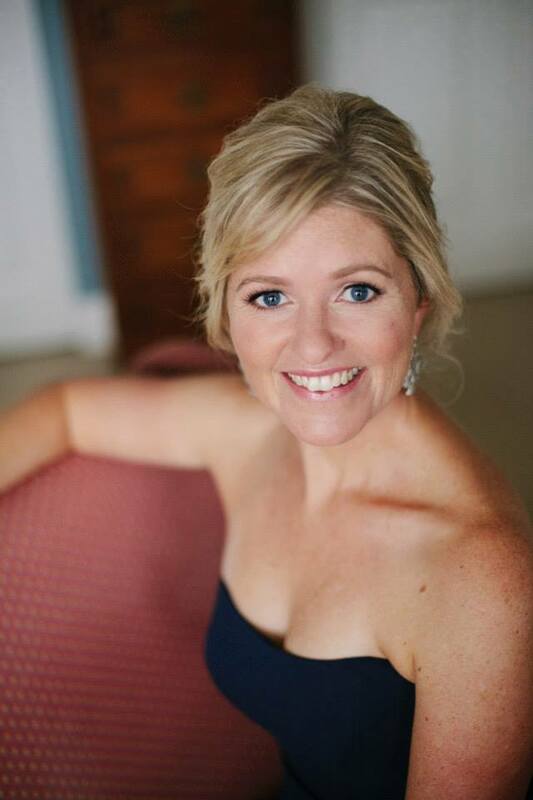 She has performed a duet and sung in the chorus for a few amateur opera productions including The Mikado, The Marriage of Figaro and Cavelleria Rusticana. Monica continues to enjoy performing to this day, whether it be solo or in various ensembles. She is currently finishing her internship for a degree in Music Therapy at Capilano University and completed studies in classical voice performance in 2012 at Douglas College. In 2010, Monica collaborated with one of her friends and directed a choral camp called ‘Sing Out!’ for several young girls. Monica has successfully completed the Music Together Teaching Workshop developed by the Center for Music and Young Children, Princeton, New Jersey and looks forward to sharing the joy of music-making in her work with young families in Music Together classes! Lucy loves to sing! She has been singing since she was very young and grew up singing in many different choirs, which exposed her to various styles of music like jazz, classical, broadway, folk and world music to name a few. Her favorite part of singing is HARMONIES! Lucy’s love of Music Together began when she participated in class with her daughter in the spring of 2013 and she enjoyed bringing her so much, she decided to become a teacher! She has been a parent for 27 years, and as well as raising her 4 forever children, she has fostered over 40 children as a foster parent. One of their favorite things to do as a family is to have dance parties in the kitchen before bed!! Lucy is thrilled to join the West Side Music Together family and is so looking forward to sharing her love of family singing and making music together with you! In 2018, she successfully completed the Music Together Teaching Workshop developed by the Center for Music and Young Children, Princeton, New Jersey. 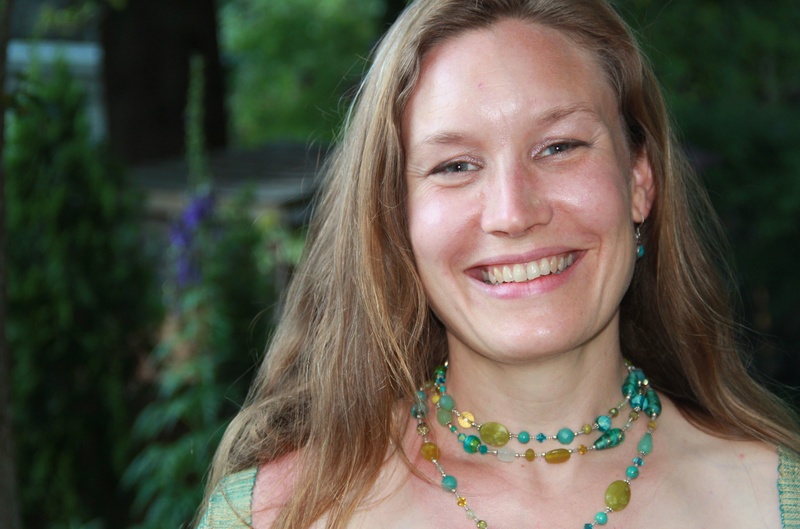 Wendy began teaching Music Together® in Marin County, California. She is a singer/songwriter, plays guitar and ukelele and is a Kundalini yoga teacher and chant artist. She entered the world of children's music in 1997 with the award-winning show she wrote and sang called "Grumpy Gretel Discovers Magic". Ottawa's Museum of Nature then commissioned Wendy to write a children's story to acknowledge the 1998 Year of the Ocean. The CD and live musical show "Adventures of Sam Clam and Diver Dan" was the result. After touring and travelling with her songs for a few years, she returns to her love of children and creating a fun musical learning experience for all at Music Together. You can find out more about Wendy, here. Wendy has successfully completed the Music Together Teaching Workshop developed by the Center for Music and Young Children, Princeton, New Jersey. Rachel is a musician and teacher, and she loves to sing! She has a passion for music making, creative play and community-building. 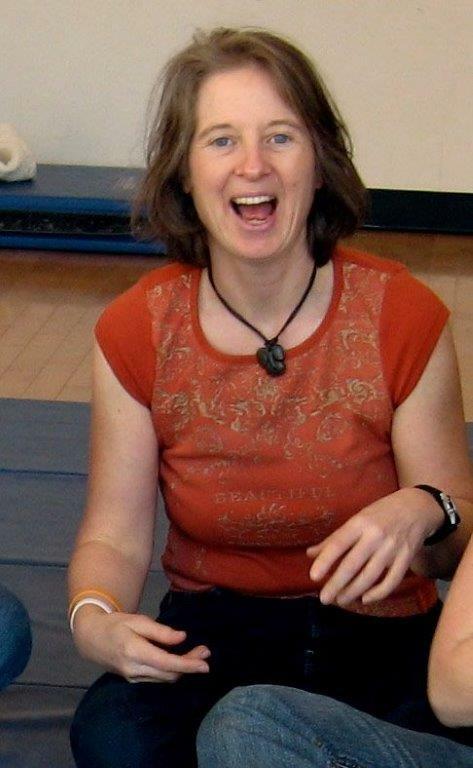 She fell in love with Music Together while taking classes with her daughters in 2009 and has seen the wonderful music learning in her own children blossom through the joyful, connected interactions between children and families in the class. Engaging with youth in their own learning process through play and connection has been the core of Rachel’s career as a high school English and Creative Writing teacher and as mother to her children. She has also developed creative and organizational skills as a Music Producer, Mixer, and Songwriter in solo, band projects and with the Universal Gospel Choir. 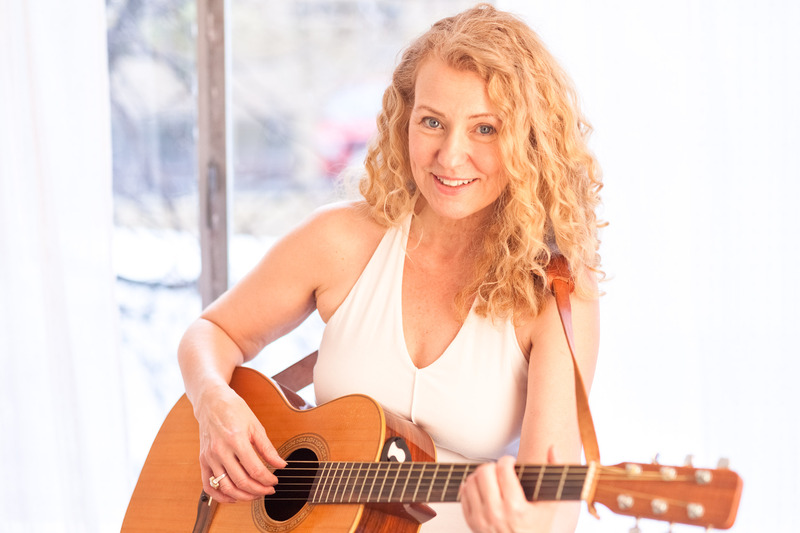 Rachel has a love for a wide range of music—soul, gospel, Afro-Cuban, folk, jazz, rock, hip-hop and classical—and continues to hone her acoustic guitar chops. She is learning to play bass and percussion along with expanding her gospel and folk-soul vocals in an acoustic soul band. Rachel has learned to sing with her whole body, and integrates her experience dancing Cuban Rueda de Casino so she can feel the rhythm in her bones. For the past twelve years, Rachel has sung with the multifaith, sixty-voice Universal Gospel Choir, and for ten years she sang with the Vancouver Bach Children’s Chorus and Choir and reveled in the huge sound of the choir accompanied by the VSO. Rachel believes that learning music early enhances our enjoyment of life, our resilience, and our feeling of belonging. She believes it is our birthright to be immersed in a world of music and she is delighted to be making Music Together in a playful, connected community. Rachel loves creating music with her daughters, fellow musicians, choir mates, and the parents and children in her classes and looks forward to making music with you too. Rachel has successfully completed the Music Together Teaching Workshop developed by the Center for Music and Young Children, Princeton, New Jersey.